A grateful nation pauses today to offer thanks to our thanks to our veterans. Sadly, it seems that lately we're seeing a drift, headed by the left and the current administration, toward disrespect of our veterans, and the military in general. 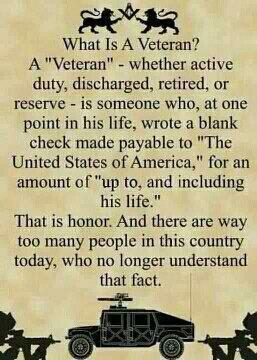 Despite the ramblings of this ingrate population segment, our veterans should know that there are those of us who remember, and appreciate, your service. Our nation is forever in your debt. Black Friday Range Time Too!